Enjoy the quiet afternoons on this wide, expansive front and side porch in the heart of Statesville's Downtown! 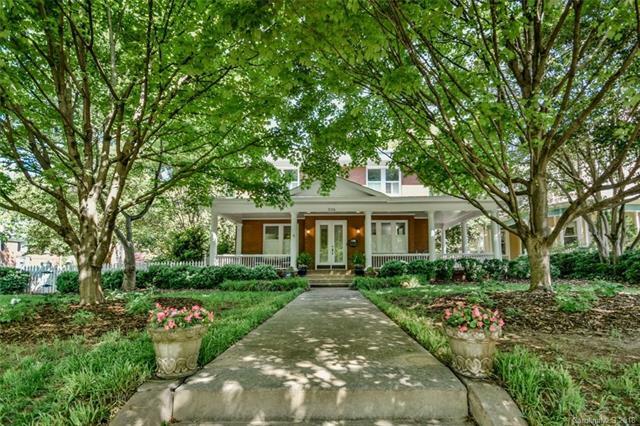 Enter the foyer to find a fabulous home completely renovated and restored! Original fixtures and doors with plantation shutters throughout most of the home. Wonderful updated kitchen, Sunny and bright with lots of natural light. New paint and Impressive moldings throughout! Large bedrooms upstairs with lots of windows, Master and 3 bedrooms with additional sleeping porch/sunroom / den/ office! Completely restored bathrooms, New Landscaping and private patio with fenced yard! Mitchell College Historic District, sidewalks to downtown and the park! Sold by Hickory Real Estate Group, Inc.